Chimney Services | Chimney Sweep | Chimney | Kent Chimney Inc. The chimney contractors at Kent Chimney Inc. are dedicated to providing services to Grand Rapids and all of the surrounding West Michigan areas. Click on the links below to learn more about the different chimney services offered by Kent Chimney Inc.
A chimney and fireplace inspection can catch small issues before they grow into expensive repairs. We keep our inspection rates affordable to help keep you safe. A clean chimney is a safe chimney! Click here to learn more about our chimney cleaning services! During a lifetime of experience we've cured almost every imaginable chimney ill. Click here to learn more about our chimney repair and maintenance services! If your annual chimney inspection revealed a cracked chimney flue liner, it’ll need to be replaced as soon as possible. Both the Chimney Safety Institute of America and the National Fire Protection Association warn against using a damaged chimney flue liner because of the risk of house fires. Click here to learn more about our chimney lining and relining services! Brick and mortar are porous, which allows small amounts of water to enter your chimney masonry. The cold weather then causes water trapped inside masonry to freeze and expand, causing more damage. To prevent expensive chimney repairs, we recommend applying premium brick preservatives and waterproofers. The new products are fantastic! Click here to learn more about our chimney waterproofing services! If you are buying a new home you need a chimney inspection to avoid potentially huge repair costs or safety risks. Your realtor can call and schedule an inspection on short notice! Also, if your chimney has been damaged call for an inspection to see if you have an insurance claim. 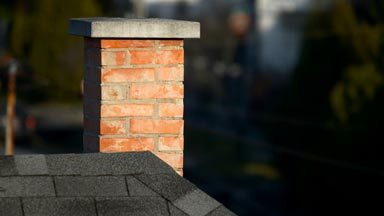 Click here to learn more about our real estate and insurance chimney inspections! We are a chimney repair company that prides itself on offering whatever accessories our customers need for their fireplaces. Whether you need a critter cap to keep out raccoons or a chimney damper to prevent bats and energy loss, we’ve got you covered. Click here to learn more about our chimney caps, dampers, and accessory services! Kent Chimney Inc. is a full-service chimney repair company dedicated to helping homeowners get the most out of their fireplace and chimney for as long as possible. If you are interested in learning more about any of our chimney services, give our chimney sweeps a call at (616) 949-7722.